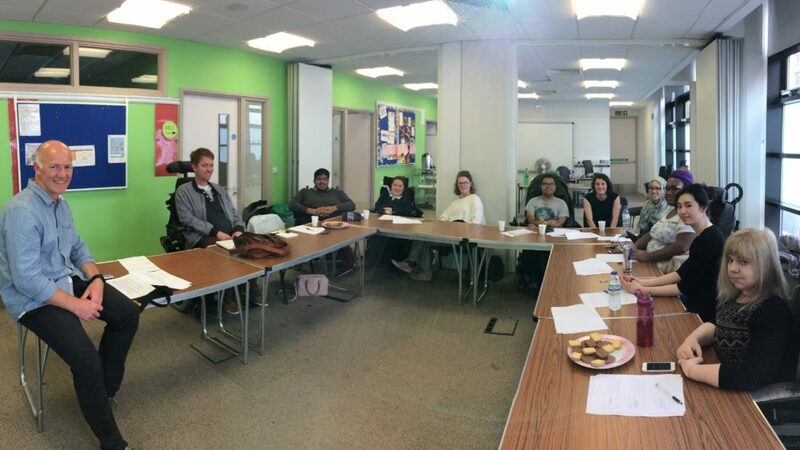 We are delighted to have been able to support the innovative employability project Moving Up run by Muscular Dystrophy UK by providing training in employment and discrimination law to a group of Muscular Dystrophy UK volunteers who will now go on to become ‘Ambassadors’ teaching what they have learnt to others. Evidence collected through Moving Up demonstrates that young disabled people are receiving little to no targeted careers advice before entering the employment market. This means that they are unsure how to discuss their disability with employers and may be missing out on employment opportunities due to a lack of understanding of the financial support and legal rights available to them. The training, which was delivered by our senior employment lawyer, Stephen Robson, was designed to empower delegates with knowledge which they can go on to share with others at a series of workshops that will be organised at universities and clinics.